I finally got my paws on a purple crackle polish on Saturday and ever since I've been excited about it! 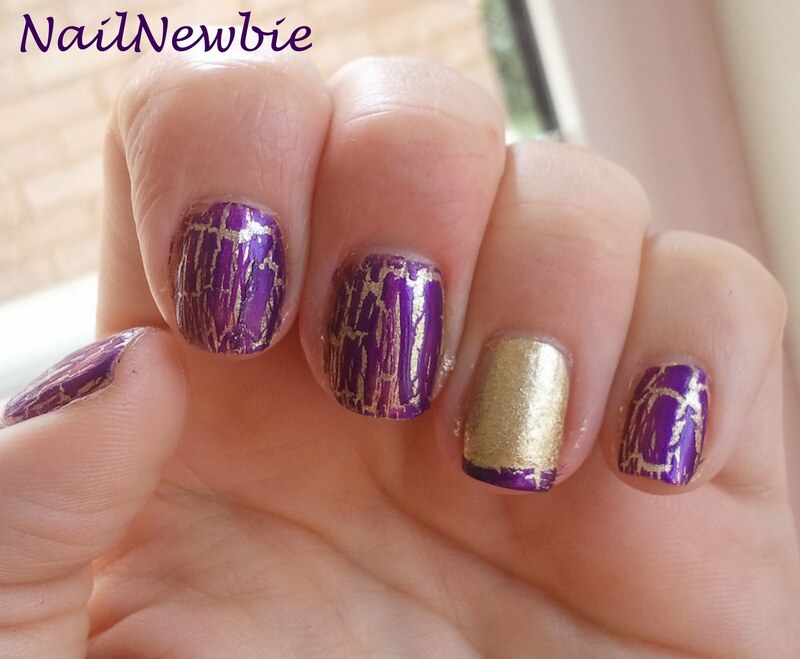 I've been after a purple crackle since Models Own announced they'd be doing crackle polishes what seems like 11tybillion years ago. They have a great range of colours but the purple is the only one I wanted. Models Own FINALLY released the purple this week, for £6. Now, I'm not adverse to spending that much on a polish if it's something I really want, but crackles can be a temperamental beast and I didn't want to be disappointed. Thankfully MUA came to my rescue with the release of their Pro range! 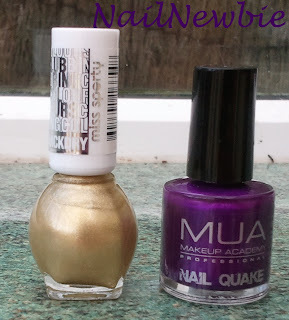 I've tried and loved some of the bargain £1 polishes and other products from their regular line, and at £2.99 for 10ml of their Nail Quake in gorgeous colours you cant go wrong! Picture kindly reproduced from MUA's Facebook page, which you should go and like now because they have awesome giveaways! The colours available are black, silver, baby pink, purple, royal blue and hot pink. I want them all! They should be available on superdrug.com later in the week, and selected stores now! I had a bit of a hunt to find them, so ask if you can't find them! On to the manicure. I decided it would look great over gold (yes, I do know it's not Christmas, I promise I'll do something more summery next time!) 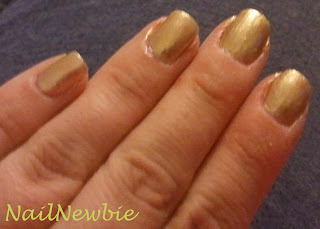 so I first applied 2 coats of Miss Sporty Gold Backstage, a lovely gold foil and let it dry. If I were wearing this alone I would have added a third coat. 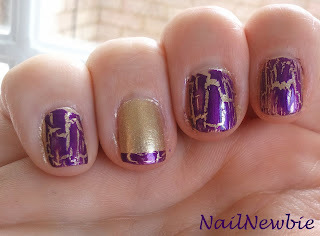 Then once it was dry I added a coat of Nail Quake to every nail except for my index. 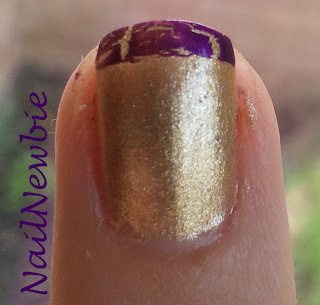 The polish applied like a dream, it's thin and easy to apply, with a thin brush so although it takes a few strokes to cover the nail you don't get overlap, which is essential for a crackle. It didn't get gloopy like some other crackles either. 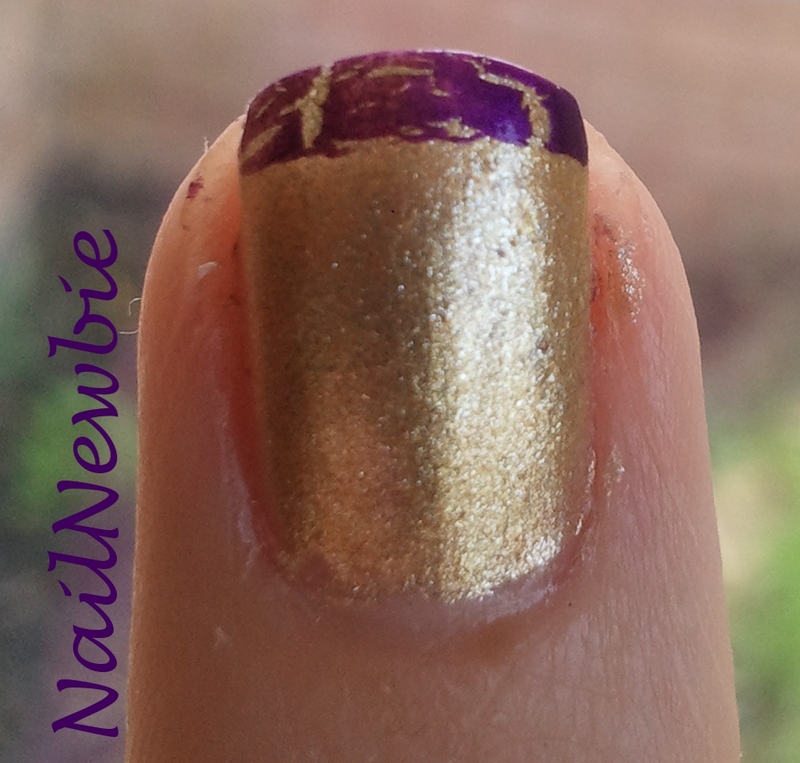 Because I'm all about the accent nail at the moment, I only applied the Nail Quake to the tips of my index fingers for a Funky French effect (with the help of tip-guides). Anyway, enough jibber jabber: PICS! Have you tried MUA yet? You wont be disappointed! That's a good one. Something new that I don't have! Must get. This looks amazing, dying to get my hands on the purple quake but no luck so far! These are online NOW! And it's free delivery on all orders until the 19th June. Sod waiting for them to come into store! This looks amazing ! I love the french !